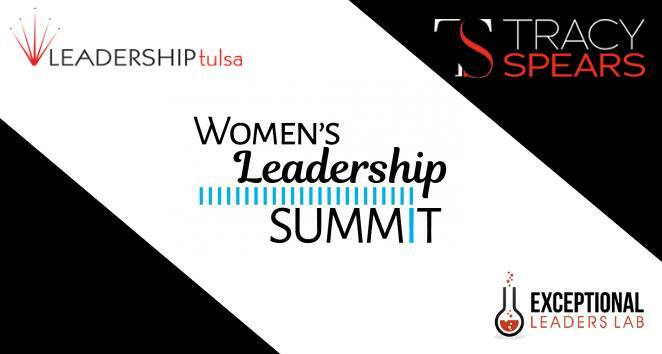 Join Leadership Tulsa and Tracy Spears of the Exceptional Leaders Lab for the first ever LT Women’s Leadership Summit. The day will be packed full of actionable and high-impact modules, including: The One Thing all Great Leaders Know…Developing Your Leadership Blueprint…The Key to Building High Performing Teams…Sustainability for Leaders… and much more. As a highlight of the day, there will also be a panel discussion with some of Tulsa’s finest female leaders. Following the workshop, stay for a “mix and mingle” reception to allow more great opportunities to connect and enjoy the company of your peers. CLICK HERE TO PAY THE REGISTRATION FEE or email kendall@leadershiptulsa.org with questions. Tracy Spears is an internationally recognized speaker, coach and thought leader. She is the co-author of What Exceptional leaders Know, the #1 best-selling leadership book and the forthcoming Exceptional leaders Playbook. Her broad expertise, combined with her relatable and passionate delivery, have made one of America’s top leadership speakers. Exceptional Leaders Lab is an international leadership organization focused on developing leaders at every level. They provide innovative programs & progressive strategies designed to help organizations and individuals reach their ultimate potential.